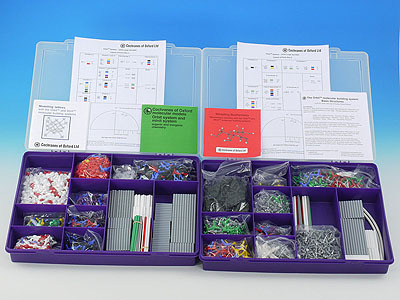 Our Minit groups sets (Organic/Inorganic, Lattices and Biochemistry) are now supplied in sturdy plastic compartmented storage boxes. So your packaging will last as long as the sets themselves – however many times you use them. Plus, due to the great feedback we’ve received on the Minit sets we’ve also used these durable boxes for the Orbit Large Sets. We hope you like the new versions.